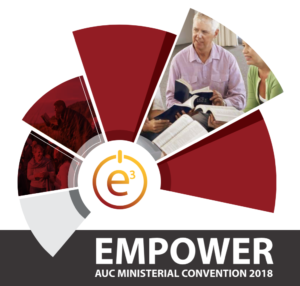 The Empower Ministerial Convention will be held Feb 6-10 2018 at Avondale College, Cooranbong NSW. This is an Australia-wide minister’s convention that takes place every 5 years. Avondale will be buzzing with over 620 ministery leaders coming together for equipping, networking and being empowered for the ministry God has called us to. Funding your travel to the event (getting to Avondale College, Morisset Station or Newcastle Airport) is the responsibility of your Conference. Arranging it is your responsibility. Check with your conference in terms of their guidelines for travel expense/arrangements and what they will cover including if your conference covers spouse travel or not. Incoming Shuttle services have been arranged to meet known flights and trains on Tuesday 6th. If you have enquiries/ changes to arrangements please contact Jacui Wall at jacquiwall@adventist.org.au. • TO Morisset station and Newcastle airport on Sunday 11th as arranged via the information desk. Unfortunately we’re unable to accommodate early arrivals or late departures. If you require extra accommodation before or after the convention please contact Avondale directly. If your arrival or departure is outside of these times you will need to make your own arrangements to get to/from Avondale College. If you are staying on-site at Avondale you may be required to have a room-mate. If you have a preference for who you would like as a room-mate please enter their names on the registration form. Looking forward to growing, sharing, connecting and being empowered with you. NOTE: Avondale is currently experiencing an unusual number of mosquitoes. This situation may have changed by the convention dates however you may wish to pack insect repellant or insect bite products. Q. ARRIVAL – What if I’m arriving early or leaving late? A. Unfortunately we’re unable to accommodate early arrivals or late departures. If you require extra accommodation before or after the convention please contact Avondale directly. We will only be running shuttle service to Morisset Newcastle aiports on Tuesday 6th, Saturday evening 10th and Sunday 11th. If your arrival or departure is outside of these times you will need to make your own arrangements to get to Avondale College. A. An ATM is available 24/7 and is located outside the Admissions Building. A. The AVONDALE COLLEGE OFFICE will be open Tues-Thurs 8.30am-5pm, and Fri 8.30am-12 noon. A. Avondale Library hours are 1pm-7pm on Tuesday- Thursday and 9am-12noon on Friday. If you are a former Avondale student ask about library services for Alumni. Q. BEDDING – Do I need to bring any? There is NO need to bring any – Linen, pillow and towels are provided in the dorms. A. The convention closes at 8:30pm on Sabbath evening on Feb 10. Accommodation/ breakfast is provided on Saturday night for those who have booked in to stay on Sunday 11th. Checkout time for all rooms is by 11am Sunday morning. Q. CHILDREN – Why can’t they come to Empower? A. While one of the Ministerial Association’s focus areas is the pastor’s family (empower workshops reflect this), unfortunately Empower will not be able to progam or cater for children. It would be nice to have an Australia wide pastors family camp however Empower fills a different space as a professional development event. While spouses are invited logistics and the nature of the event mean you will need to make arrangements for your children to be looked after if you both choose to attend. We are at full capacity in terms of accommodation and meals and so cannot accommodate children in the dorms. We have made some exceptions, in individual circumstances, where mothers are feeding their babies. Please talk to us if you fit into this category. A. If you would like to be part of a choir that joins the orchestra for Sabbath practise time is Wed and Thurs evenings at 5-6pm in the College Church. Choir members will then be in the second meal group regardless of conference. A. The Information desk will be in the College Church Foyer and open 8-9am, 10:30 -11am, 7-7:30pm and 9-9:30pm. For general questions ask one of the Empower Ask Me team wearing the red shirts or visit aucministerial.org/empower. A. If you find any Lost Property please hand it in at the information desk or give it to a staff member in a Red Shirt. Any Lost Property received will be available for collection at the Information desk will be in the College Church Foyer and open 8-9am, 10:30 -11am, 7-7:30pm and 9-9:30pm. For general questions ask one of the Empower Ask Me team wearing the red shirts or visit http://www.aucministerial.org/empower. A. Connect your device to the “Conference” wifi network. Login details are available to registered participants via the Convene Live Events App – FAQ section. A. There are some fun prizes on offer for the winners of the Leaderboard at the end of the week. 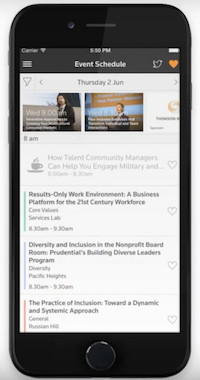 Points are awarded inside the app for interacting with the content at the Convention – helping you get to know what’s happening across EMPOWER and for interacting with the App. A. Lunch each day – apart from Sabbath, will be in meal packs. Sabbath lunch will be in the cafeteria. Evening meals Wed-Fri are in the cafeteria in two sessions as below. 6pm: Session 2 – VIC, WA, SQLD, AUC, TAS Partners in Ministry tea, 5pm, Ladies Chapel. 6pm: Session 2 – AUC, GSC, NNSW,TAS, SA Women in Pastoral Ministry tea, 5pm, Ladies Chapel. Sabbath evening’s meal (Saturday evening) will be in a meal pack. A. Adam Johnstone, Managing Direcotr of NCD Australia, has vast experience with NCD in the Adventist Context and is valuable to talk to about your church’s NCD results. He will be located in the Expo Hall during Expo opeing hours. A. Adventist Media will have a photographer on site in the Expo Hall during open hours (12:45-2pm, 4:30-6pm) so that you can update your headshot for ministry use etc. A. SPORTS – Tennis, squash and sports on the eld are available for use. Tennis and squash racquets and balls plus soccer, rugby and a balls are available from the information desk. Please remember to sign borrowed equipment out and back in. FITLIFE GYM – Your FitLife gym membership has been paid for the convention. Please remember your lanyard for entry. Gym is open 6am-9pm Tues-Thurs, and 6am-5pm Friday. POOL – The pool is part of the FitLife gym facility. The pool will be open Tues 6am-9pm, Wed & Thurs 6am-11pm and Friday 6am-5pm. A. Sunnyside (home of Ellen White while on Cooranbong) is only a short walk from the end of girls walk at 27 Avondale Rd. It will be open Wed 2pm-4pm and Sabbath 2pm-4pm.